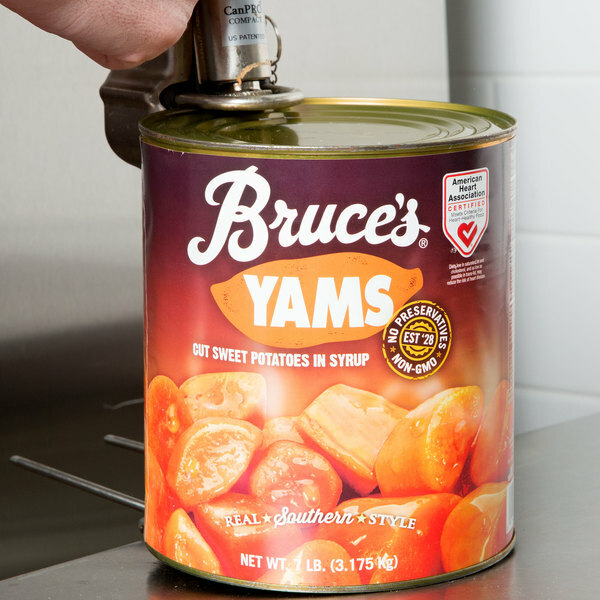 Use Bruce's #10 can of cut sweet potatoes in light syrup to create a sweetened side dish or holiday casserole! 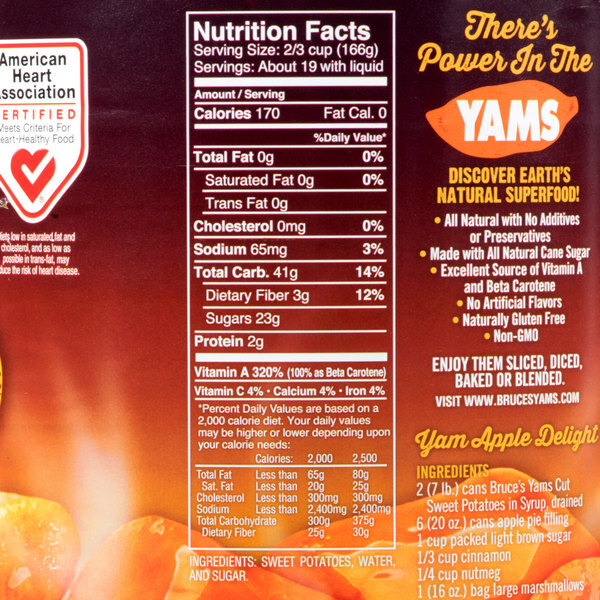 Each cut piece is taken from the heart of a sweet potato, giving it an unmistakable, fresh flavor. Whether you are pairing them with vegetables or mashing and topping them with marshmallows, this can of potatoes will provide your customers with a comfort food that is both nutritious and satisfying. Packed in a light syrup for extra sweetening without the calories, this can boasts approximately 19 servings so you can double or triple your signature recipes and whip up a bulk supply for your diner, restaurant, or buffet. The potatoes are also easy to cook and can simply be added to a saucepan and stirred until hot. If you're using a microwave, place the potatoes in a microwave-safe bowl, cover it, and heat them on high power for 2 minutes. Serve candied sweet potatoes in a brown sugar blend or add a pop of natural, beautifully-bright orange color to menu items with this versatile can of cut sweet potatoes! 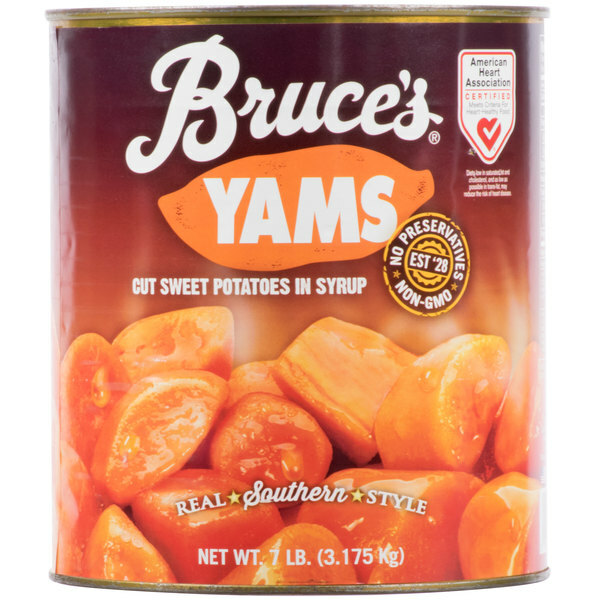 Bruce's Canned Cut Sweet Potatoes in Light Syrup have been a part of our holiday dinners at home for nearly 40 years. Now, we do holiday dinners on a big scale at our church, serving anyone who cares to join us. 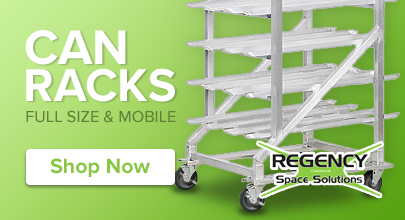 This great #10 can is a wonderful time saver, and it's economical, too. I wouldn't trust my holiday meals to anyone else. For this # 10 can we found out when we made it for a veterans kitchen. My husband added items from an old family recipe , and the veterans just fell in love with this casserole with added marshmallows' . And the price, wonderful. The Bruce's cut sweet potatoes are delicious and very well priced. A great and easy side dish to add to our buffet during the fall season. These are some super delicious sweet potatoes. They are great at Thanksgiving are very easy to prepare. I love their sweet flavor and how they smell cooking. Bruce's is a well recognized brand name. These are good for sweet potatoes which have never been my favorite. I though know people who enjoy them. These are good as a side or in a casserole. Our family's favorite sweet potatoes for every holiday meal. We love that we can get this 10# can for such a great price saves us a lot of money! These sweet potatoes are great for making sweet potato pie! Easy to heat up and puree for a nice spread as well! Unique Yam dip works well with pita chips for an appetizer!! these Cut Yams are great. 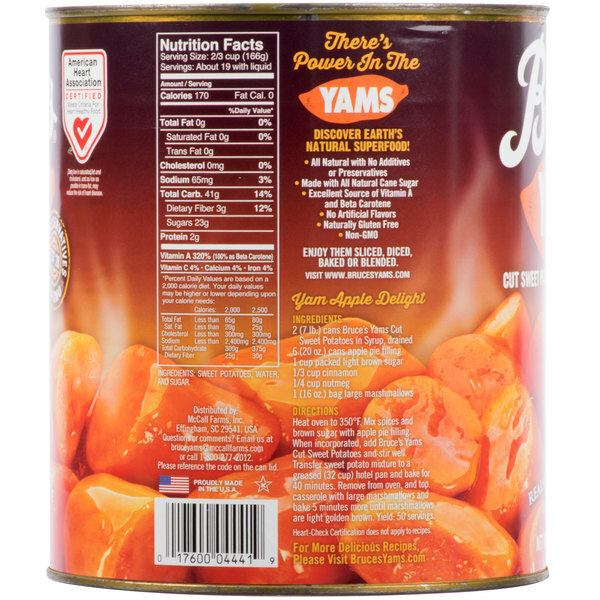 We use alot of the yams in our sweet potato casserol on our menue daily sells great. The price is right.Taste is great. These yams are very good. 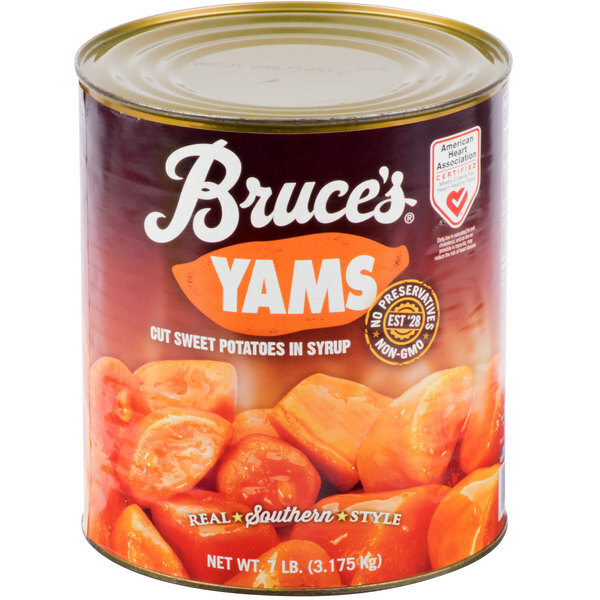 Nothing beats these yams, hands down. I've never had a problem with them being dented. Been shipped in great shape. The flavor is excellent, and they never seem to last, i always have to open a new can every day due to demand.